The teachers at Live Free Yoga have joined together from all walks of life and yoga backgrounds. It is our intention to provide a variety of yoga and guide you to the freest life possible! I am passionate about instilling mindfulness and body awareness into each individual I encounter. I keep a non-judgmental approach to teaching to all walks of life! This is how I was taught to embrace yoga and how I wish to share it with others! I began my yoga journey in the midst of a very challenging emotional time and I have encouraged the similar techniques to others ever since! My yoga classes focus on toning and strengthening the body but also breathing and pausing to recognize who you are in this very moment! I first began regularly practicing yoga in 2015 because I was enticed by the physical aspects and creating all kinds of shapes with my body. After some time, I discovered the mind, body, soul connection through yoga and realized that the physical piece was only one tiny part. I was beginning to realize that yoga was helping me become the best version of myself. Yoga has helped me through the ups and downs of life and I was also able to come off all prescription medications. After going back and forth for a while, I decided to become certified as a teacher because I wanted to spread the joy of yoga and make it available to as many people as I could. I received my 200 hour Hatha Yoga teaching certification through Marianne Wells Yoga School in July 2018, a training based on teachings and concepts from BKS Iyengar. Additional trainings include restorative yoga and yoga nidra with Maureen Miller from Yoga NH. Tuesday began studying the art of essential oils over a decade ago and is a Certified Aromatherapist, Nutritionist, Reiki Master/Energy worker with advanced training in Biofeedback and Essential Oil Blending. Tuesday completed her 200 RYT Rasamaya Yoga Teacher Training in June 2016 under the guidance of Carrie Tyler. With this comprehensive training, Tuesday has gained the knowledge of the importance of postural structural alignment and meditation. Tuesday has been doing yoga for her personal growth since 2012 when she was diagnosed and overcame a rare cancer. Tuesday has a very relaxed demeanor, and this comes through in her classes and consultations allowing her students and clients to feel very at ease. Tuesday has her Master of Science in Community/Human Development from Southern New Hampshire University, she is a member of the National Association of Holistic Aromatherapy and Certified through the American Naturopathic Medical Certification Board. Riley Cammett began practicing yoga as a way to remain calm, focused, and in tune with herself. She has been practicing the physical asanas of yoga for the majority of her life but began to deepen her spiritual path of meditation and mindfulness for the past 3 years. Through the Vinyasa style, she began releasing her left over physical energy through the practice, as well as truly beginning to feel one with herself. She has been trained in Vinyasa yoga since April of 2017. She achieved her RYT-200 from Prasada Yoga Center in North Hampton, NH and was trained by Dana Lincoln and Michelle Plante. She studied Reiki under her Reiki Master Teacher, Jocelyn Boucher, the North Shore Medium, to enhance her spiritual practice and path. She received her Reiki 1 practitioner certificate in August of 2018. It is her hopes that by adding Reiki to her classes, she can create an atmosphere of physical asanas coupled with spirituality that leads to deepened experience in her class for all those to experience. Aspen is a caring and charismatic empath with an intuitive approach towards healing and fitness and has been practicing yoga for 15 years. Along with a varied professional background in fitness and wellness qualifications, Aspen has been teaching yoga for seven years. Professionally, Aspen’s approach to wellness comes from her passion for helping others energetically, physically, and emotionally. Aspen is certified through the National Academy of Sports Medicine in Corrective Exercise and Performance Enhancement. Aspen is also a MultiFormat instructor through several popular fitness brands including Pilates, ZUMBA, Hip Hop, BodyPump, BodyCombat, Spinning and YogaFit. 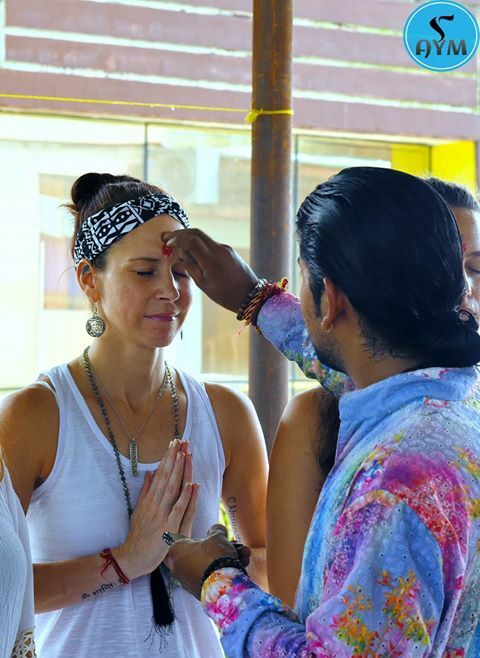 Her passion for energy healing led Aspen to pursue becoming a Reiki Practitioner and this past summer completing an intensive 500-hour certification from the Association for Yoga and Meditation in Rishikesh, India. Aspen is trained in many styles of Yoga , her favorites being Shakti Flow and Ashtanga. She also loves to share the amazing benefits of Yoga Nidra and meditation. A few words that Aspen’s students use to describe their class experience with her are inspired, rejuvenated, empowered and connection. She lives in Manchester with her fiancé and their beloved fur baby, Vinny. Rose's interest in yoga began as an exploration in another modality of exercise but has since transformed into a sacred practice for connecting deeper with herself and others. Rose has explored many styles of yoga over the years and believes that yoga benefits anyone and everyone. She completed her RYT 200 hr at Soulfire Power Yoga in Greenland, NH, and has years of experience as a health and fitness professional. Most recently Rose completed training for Restorative and Yin Yoga through the Muse School of Yoga in Portland, ME. She earned her B.S. in Physical Education from Plymouth State University and additionally holds certification as a Wellcoaches Health and Wellness Coach. 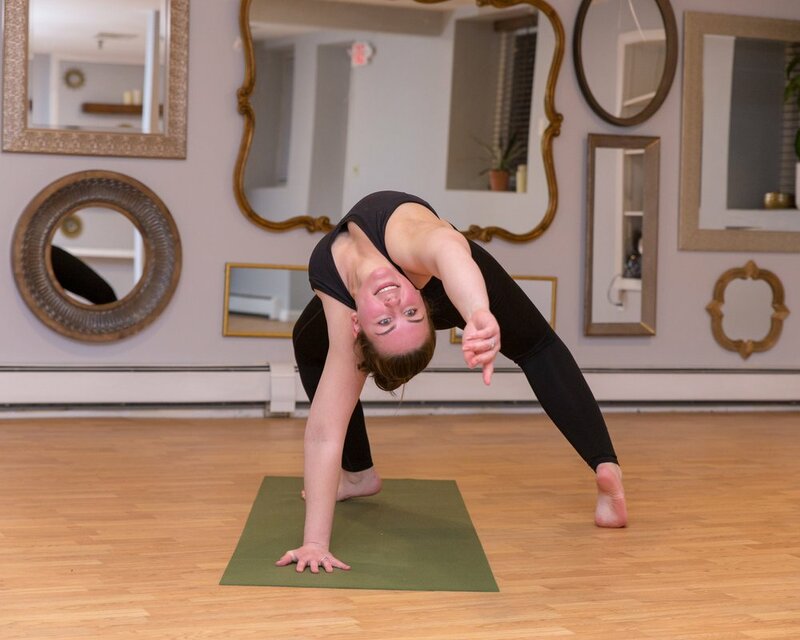 Rose has also completed the Yoga for 12 step Recovery training and currently teaches Yoga for Addiction and Recovery for the Seacoast Area Teachers of Yoga in Action a non-profit providing access to yoga for at-risk and underserved populations. Rose brings playfulness, empathy, and compassion to her teaching and a passion for guiding people to their ultimate state of well-being. Rose believes that yoga is a way of being, a lifestyle, a practice of discovering and accepting yourself and healing traumas and self-limiting beliefs. She speaks to the spirit in her teaching and creates a safe space for others to discover insights into their inner workings and renew their innate power. Elizabeth is a Yoga Alliance certified RYT 200. She completed her training at Mangala Yoga in Telluride, CO under the guidance of Maureen Gildersleeve and Annmarie Torrez. She began practicing yoga consistently when living in Seattle in order to relieve stress, gain strength and flexibility, and achieve mental clarity. Elizabeth strives to deliver the same benefits to her students in each of her classes through thoughtful sequencing. She currently lives in Maine.